Chelsea have been defeated in their bid to buy back the freehold of Stamford Bridge following an extraordinary general meeting of Chelsea Pitch Owners (CPO) shareholders. The Blues failed to convince the holders of 75% or more of the shares in CPO to support their proposal, which was seen as a precursor to a move to a new 60,000-seater stadium. At an emotionally-charged meeting in Stamford Bridge's Great Hall, CPO chairman Richard King revealed a no vote was carried after 61.6% of approximately 700 shareholders voted against the proposal, with the 38.4% who supported the Blues' plan leaving the club 13.4% short of their target. 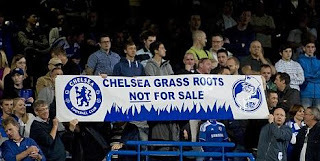 The defeat prevents Chelsea regaining ownership of the land they sold to supporter-led group CPO in the 1990s in order to ensure the club was not made homeless. 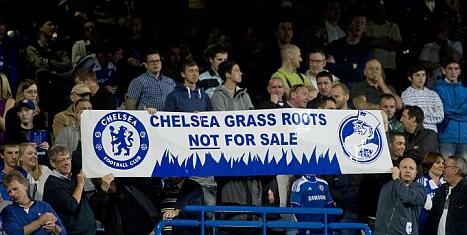 The CPO were most angry today about the decision to allow shares to continue to be sold after Chelsea announced their proposal on October 3. The last week before trading was eventually suspended saw more than £200,000 spent on the £100 shares - around 10 per cent of the entire shares in issue - with more sold during that period than during the previous seven years. There were accusations at today's meeting that most of those shares were sold to 20 individuals with loyalties to the club and the calls for an adjournment came in an attempt to get the votes of anyone who bought shares after October 3 discounted. One shareholder, a lawyer, asked whether the club had considered asking for a "conditional sale agreement" that would see CPO shareholders automatically surrender their shares once the club had identified a ground within three miles of Stamford Bridge that would house 60,000 people. Chelsea chairman Bruce Buck, who provided robust answers to most of the questions posed to him, admitted it was not something he had considered. He added: "I don't think we're in a position in this meeting to revise our proposals."